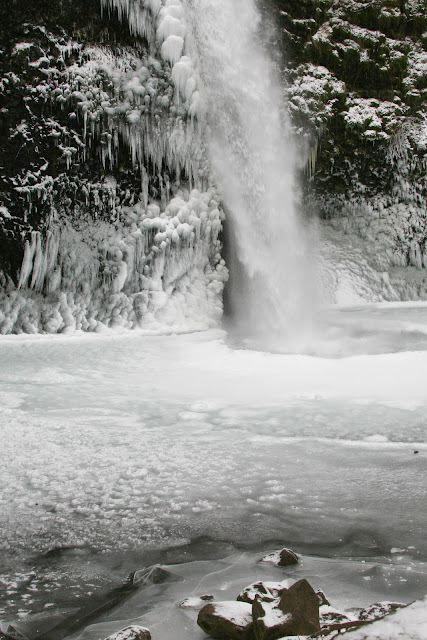 When the east winds blow (also known as Hurricane Columbia Gorge) blow, they freeze everything in their path. Waterfalls are not immune to this. Horsetail Falls is both easily viewed and accessed from the Historic Columbia River Gorge Highway. In fact, is sits so close to the highway, the winds blow the freezing mist on to the roadway. This image was captured last winter on an excursion to view the frozen waterfalls during an especially prolonged cold snap.